Sauerkraut is really easy to make. Here’s how I do it. All you need is cabbage and salt. I used a red cabbage, but I’ve used green too. I’ve also put shredded carrots in with the cabbage before. 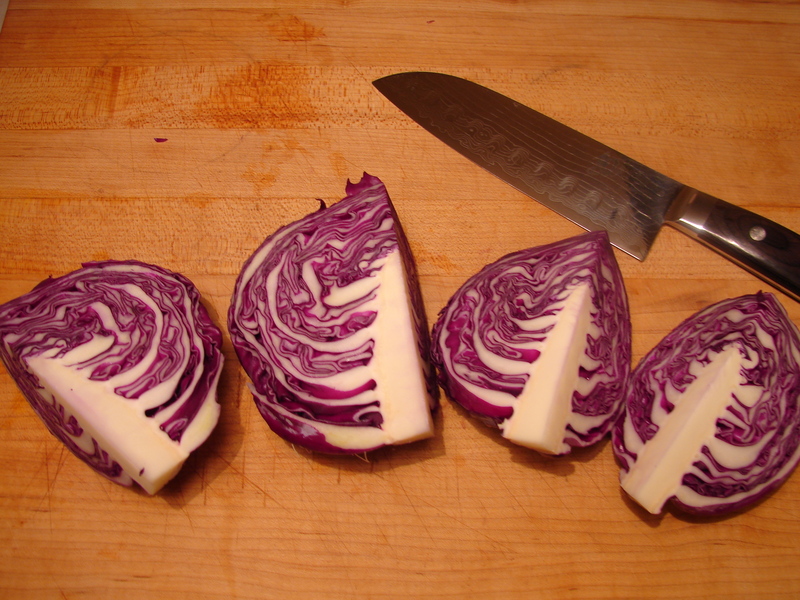 Cut the cabbage into quarters. Cut out the cores. Let sit for a couple hours. 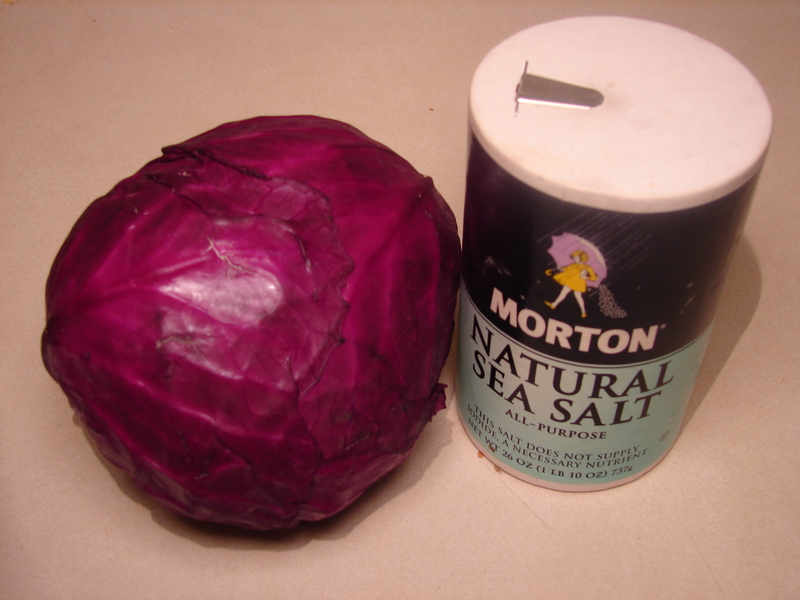 During this time, the salt will draw out the juices from the cabbage. Squeeze the cabbage with your hands and try to get out as much juice as you can. Pack the cabbage into a clean glass jar. 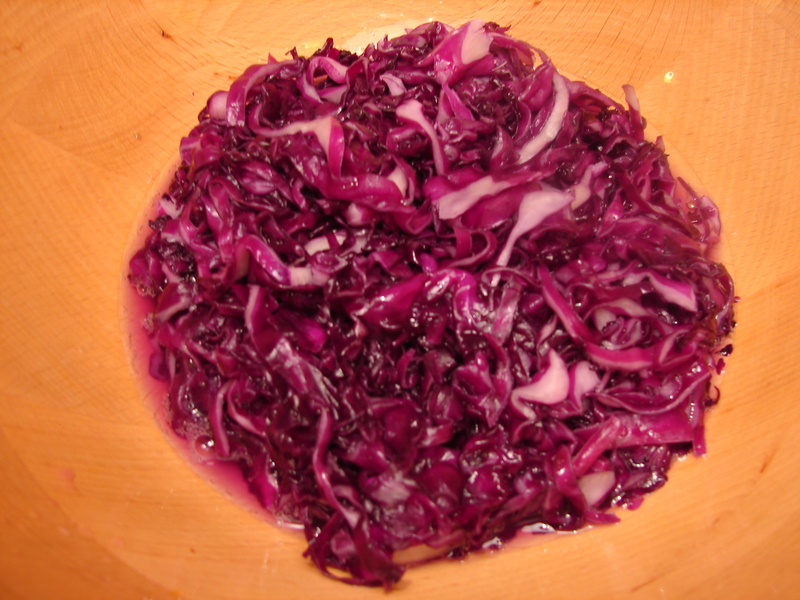 Don’t use metal (it’ll react with the bacteria in the cabbage) and don’t use plastic since it’ll leach chemicals into the sauerkraut. Push it down as much as you can so it gets submerged in the juice. 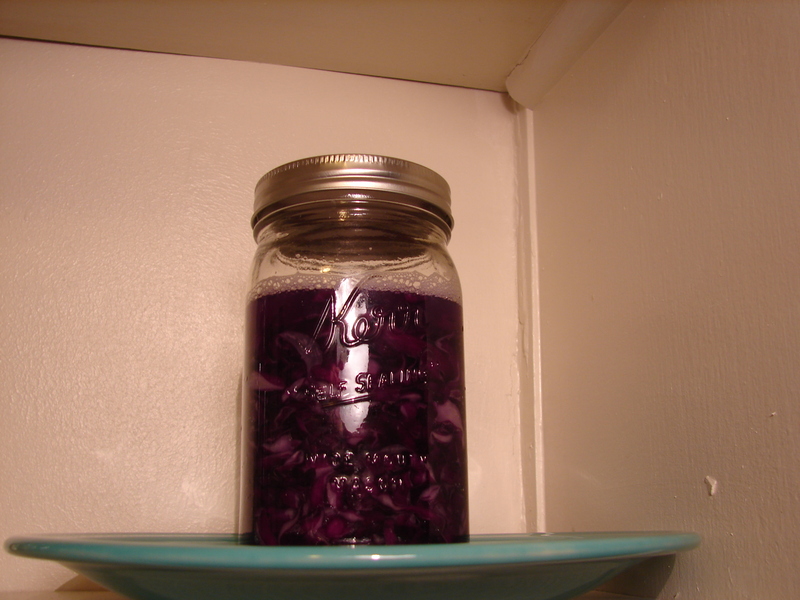 Sometimes I use an old empty glass spice jar to press the cabbage down. 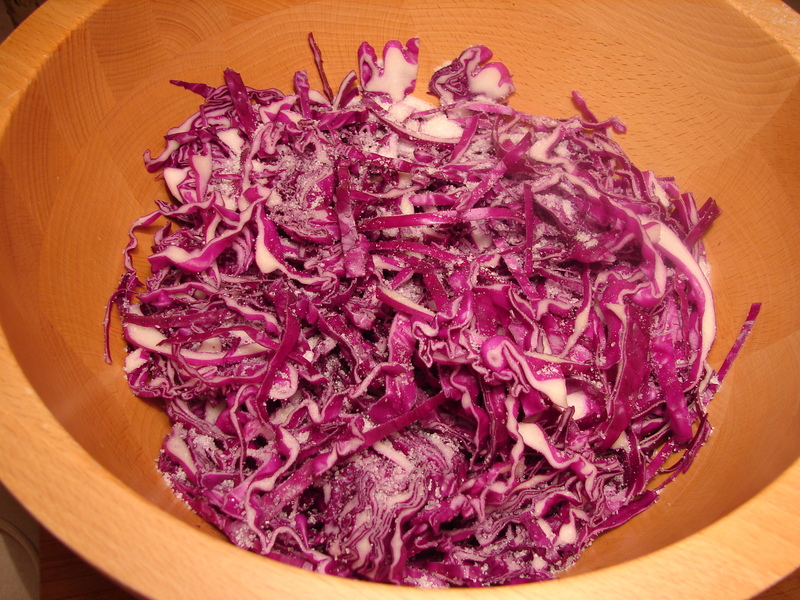 If there isn’t enough juice to cover the cabbage, dissolve one teaspoon of salt in one cup of water and pour in as much as you need to cover the cabbage. Let the jar sit on a counter for two to three days. You’ll want to put the jar on a plate in case it leaks juices. I don’t ferment my sauerkraut for very long, but some people ferment theirs for weeks. 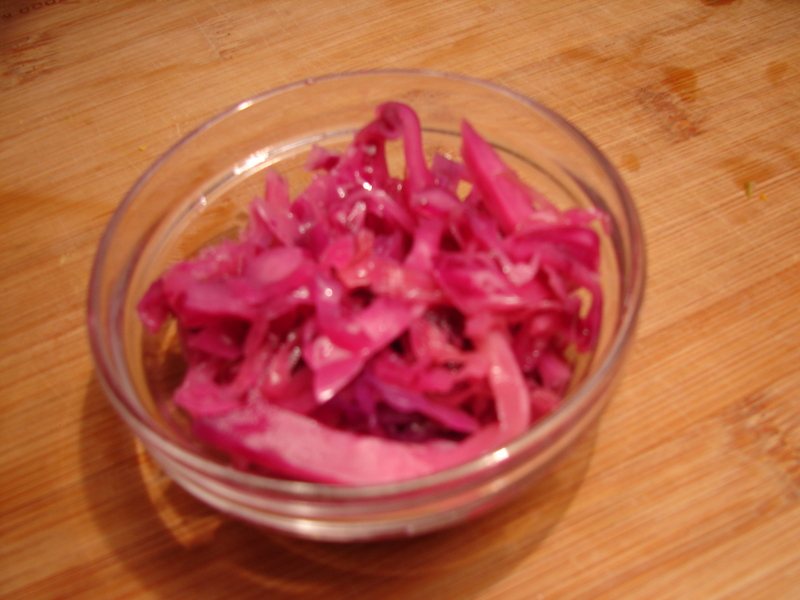 After the fermentation period is over, put the sauerkraut in the fridge. I ate some right away.